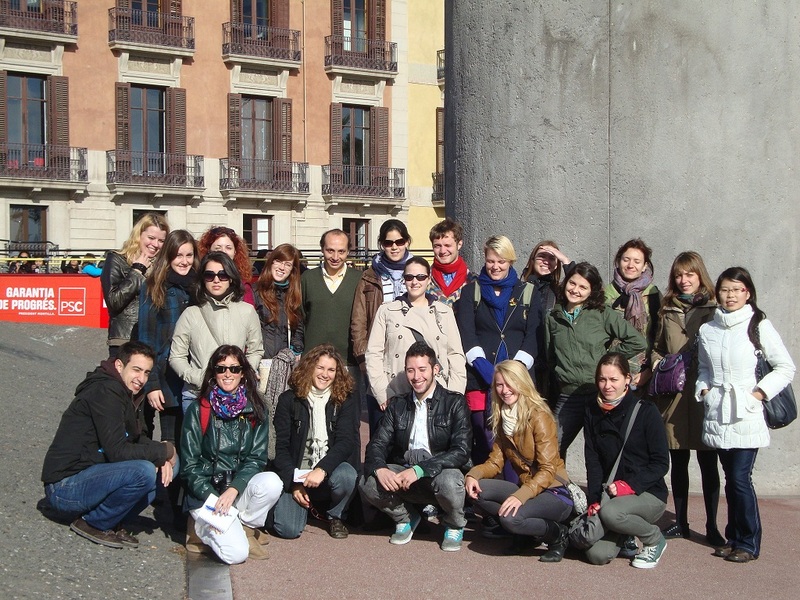 Today I organized a cultural walk for my MA students in Barcelona. 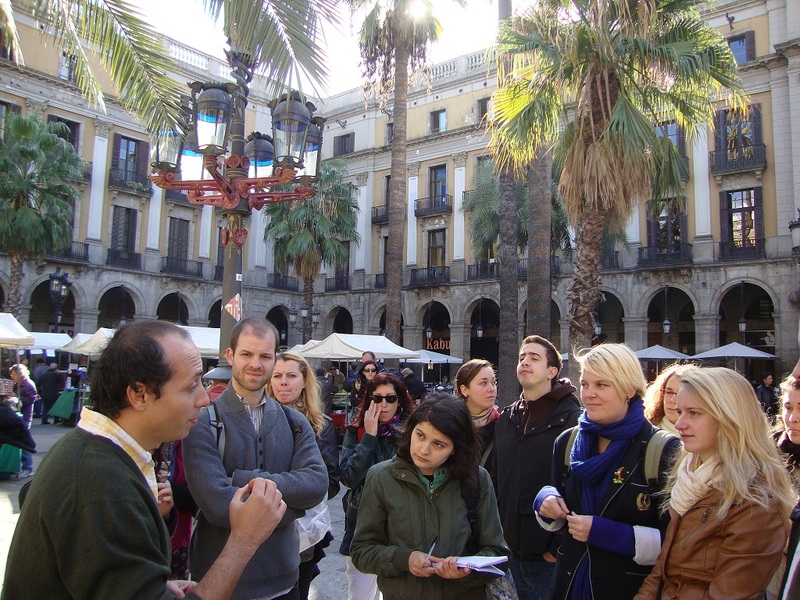 The idea was to explore the cultural life in the city and appreciate its cultural legacy. The Catalan Renaissance, a period of revival of Catalan language and culture in the second half of the XIX century. Its most important figures are Aribau, Maragall and Verdaguer. A cultural tradition similar to a cultural salon, which involves a gathering of likeminded people interested in art and culture to discuss recent updates and trends and share creative artworks. It was common in Paris, Barcelona, Madrid, Vienna, Zurich and other cities. It means “Floral Games”. It is a cultural tradition involving competitions in poetry and prose. It was re-introduced to Barcelona in 1859. It has ancient Greek origins. Catalan word for Modernism, an art style that flourished in Europe between 1880 and 1915 (approximately). It had its outmost expression in Catalonia with the works of Gaudí, Cadafalch and others. 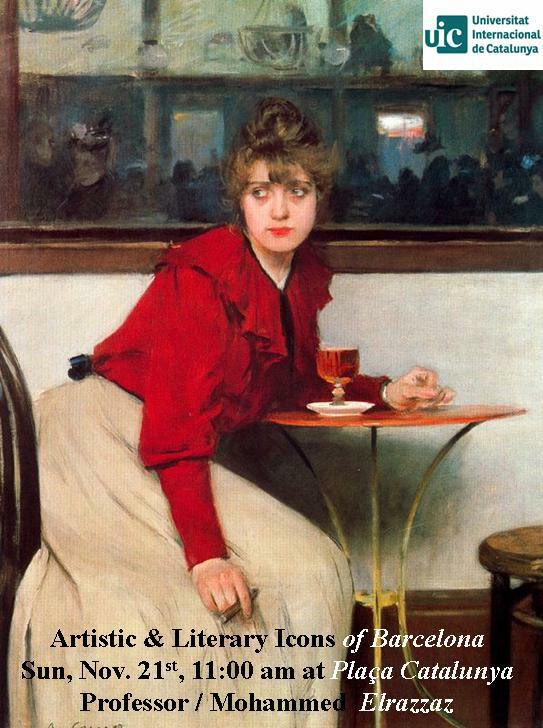 It extended to painting (Ramon Casas and Santiago Rusiñol), to decoration (Josep Maria Jujol) and to literature (through Rubén Darío).